Question: The general ego is growing during the study of the wisdom of Kabbalah. 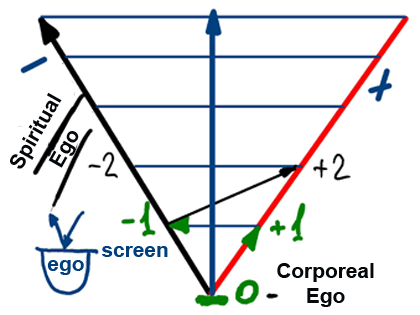 It turns out that we seem to accelerate the growth of the ego. And as long as we delay the connection between us, humanity is becoming more egoistic. Answer: The ego is not transferred from us to humanity. It does indeed develop sharply, but it is in us. To the extent that you aspire and yearn for the love of friends, you feel that you hate them and are rejected by them. Those who do not yearn for spirituality don’t feel anything. They have the ordinary corporeal animal egoistic urges, and nothing more than that. If I strive forward to the “plus” with the friends and attain let’s say “plus one,” I immediately feel “minus one.” But if I am on level zero, on the initial corporeal level, I am just an animal. This means that it is an ordinary corporeal ego. Spiritual ego is a totally different matter; it appears only in order to push me to an even stronger connection with the friends in the group. First it all seemed okay, fine: “Let’s connect guys!” We rent a place, everyone is burning, everyone is working. Suddenly we feel that we cannot even look at each other. This means that a negative spiritual level has started, and that’s a good thing. Now is the time to rise above it, to rise to the next level “plus two.” And then again “minus two” appears.” And thus, over and over again. Without this zigzag we would not develop. Can you imagine what ego people who rise have, like Rabbi Shimon’s students who wrote that they were ready to burn each other? When you reach such a level, these attributes appear in you. So we have to establish an environment. You will not be able to attain this level without a strong group to support you and direct you. It “shakes” you when it is necessary so that you will wake up and see where you are; it obligates you and the others to perform your duties in the group, pulls you to dissemination, wakes you up at night, etc. It is impossible to advance without it. At first a small ego appears in the group. But if the friends don’t notice it, if there isn’t someone who can help them, the group falls apart. There are many such groups. I hear about it occasionally. So, we should actually be happy that serious signs of the spiritual advancement appear. This is already spiritual egoism. Am I Righteous Or Am I A Sinner?